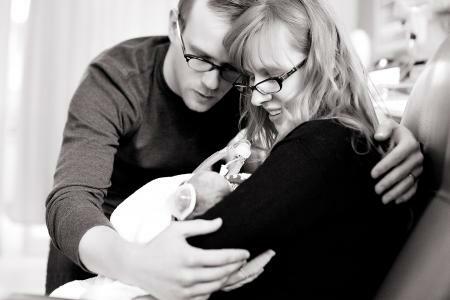 These are my sweet and beautiful friends Shana and Jared, holding their tiny boy wonder, Atticus. Atticus was delivered 4 months premature in January and weighed just 1 pound, 10.4 ounces. For insurance purposes, Shana and Jared got married 5 days later by a judge with little family present. And, sadly, 25 days later, Atticus passed. This little family has been through a lot. To say they're strong is an understatement. Shana and Jared's friends have nominated them to win an ultimate wedding from Crate and Barrel. And I cannot think of two people who deserve it more. If you have a second, please vote for them here. You don't have to register or sign up for anything. Just click the pink 'vote' button for my friends. Thanks. I voted for them! I did have to register though, for my vote to count... I got this message: "Thank you for verifying your email address. Your votes will now count." I voted too. I just logged in via facebook and it worked fine. I hope they win the wedding they deserve. This really made me tear up. Done. I hope they win. I voted. I hope they win too. done. big love to them. Voted. Iwish them all the luck! Please let us know if they win. So touching and sad!! I hope they win. hey you! I'm off to vote.